Yesterday we made adorable Peeps Houses and today we continued the fun by turning Peeps into pets! 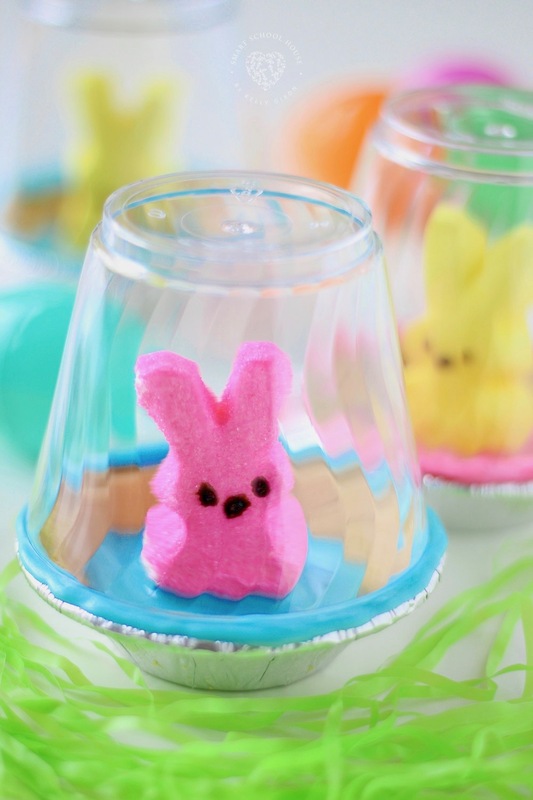 Pet Peeps are housed in a graham cracker bowl habitat and enclosed with a clear surrounding. They can see out and kids can see in. Pet Peeps are a perfect Easter craft for the little ones in your life. When I was in preschool, I remember keeping little bugs and insects as pets. In particular, I liked to put tomato bugs in jars (with holes for air). I’d give them some leaves and just watch them. Pet Peeps are also a good idea if you’re not a fan of actually eating Peeps. While this craft is edible, you don’t have to eat it. You can just keep it for fun. I love the way the peeps look like they are sitting in a pool of pink and blue liquid chocolate. Clear cocktail cups or clear plastic cups. These come in a few different sizes, so pick ones that will match the circumference of the pie crusts. Melt the candy melts according to the instructions on the package (usually using a microwave safe bowl in 30 second intervals). Put the rest of the melted candy into the corner of a sandwich baggie. This creates a homemade frosting bag for piping! Place a Peep in the middle and hold it in place for a few seconds. 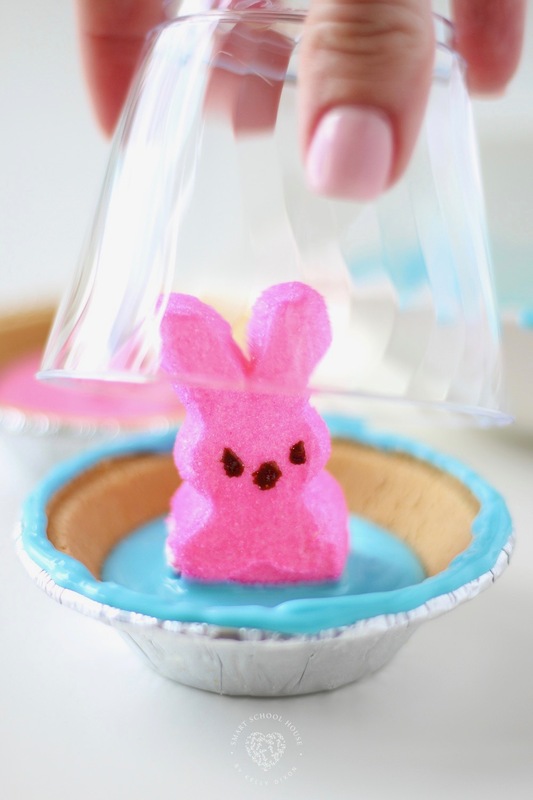 The melted candy will eventually harden and keep the Peep in place. Add the clear plastic cup on top of the pie crust. 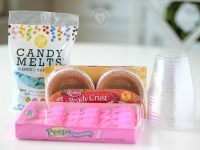 The melted candy will harden to keep the cup in place. 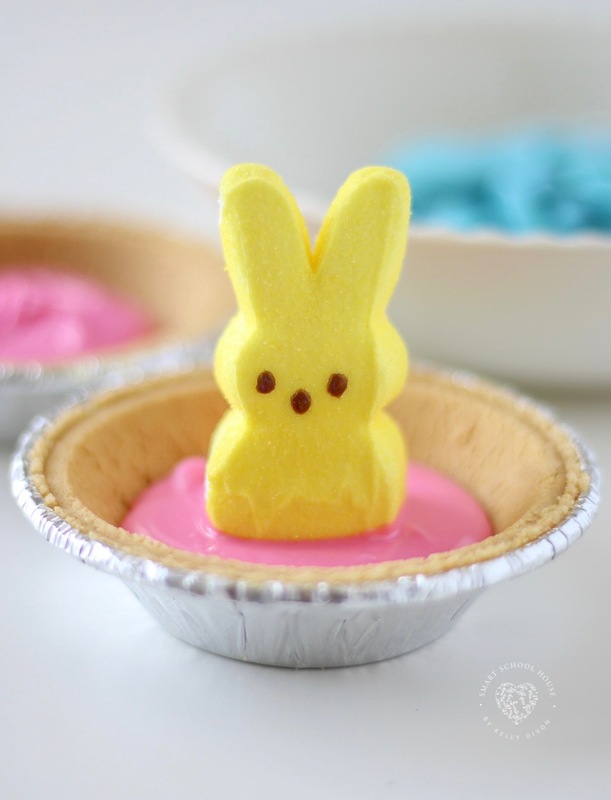 It would also be cute to add some jelly beans or candy eggs inside the pie crust. Be creative making the Peep habitat and, most of all, have fun!